NEW YORK CITY (December 5, 2013) - Unbeaten junior lightweight prospects Joel Diaz, Jr. (13-0, 11 KOs) and Wanzell Ellison (9-0-1, 5 KOs) headline "Big Apple Boxing," presented by 50 Cent's SMS Promotions, on Friday night, December 20 at Resorts World Casino NYC in Jamaica, Queens, New York. 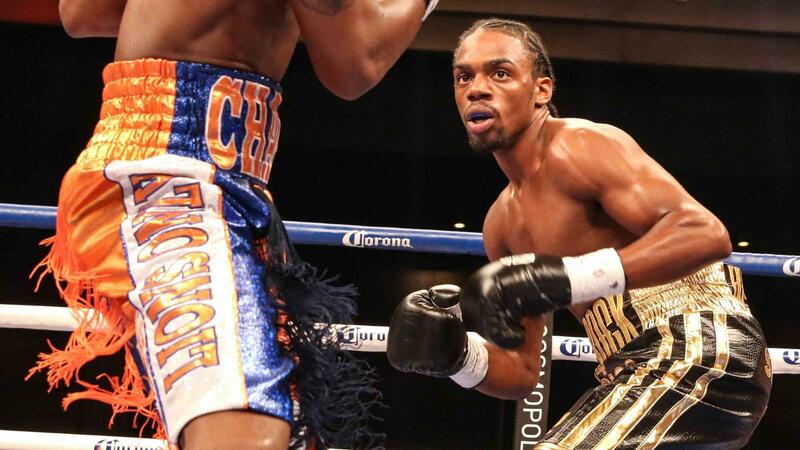 "This is going to be an exciting night in boxing," promoter Curtis "50 Cent" Jackson said. 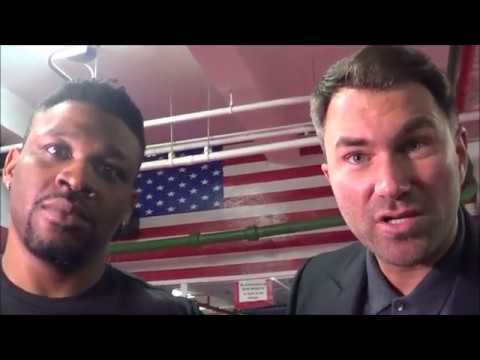 "The fighters on this card are highly motivated and I'm looking forward to watching their talent unfold in the ring. We'll also have special performances from Prodigy of Mobb Deep, Tory Ave and Tony Yayo. You won't want to miss this one." 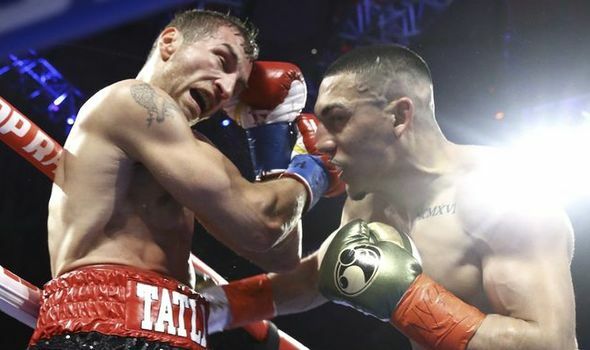 The 21-year-old Diaz, fighting out of Palmdale, California, will be fighting in his third scheduled 10-round bout having stopped Guillermo Sanchez and Emmanuel Lucero, respectively, in the second and fifth rounds. Diaz has defeated one other unbeaten opponent, Guy Robb (7-0), who Diaz finished-off in the seventh round of their 2012 fight on ShoBox. The lone blemish on 24-year-old Ellison's professional record is a draw in 2011 with Carlos Vinan. 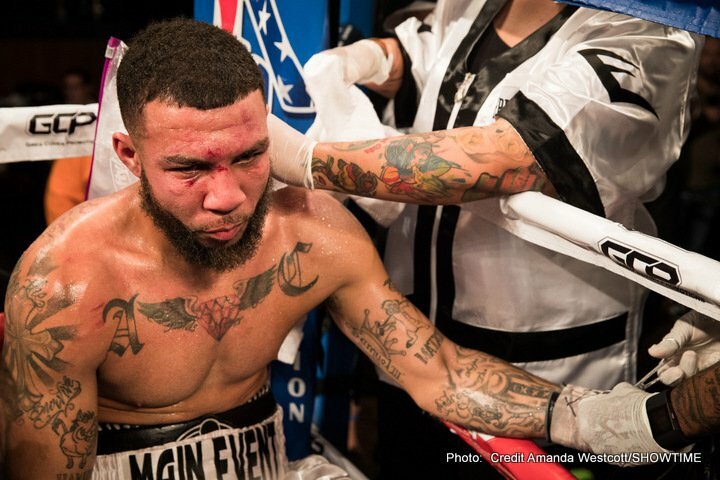 Fighting out of Newark (NJ), Ellison will be fighting in his first scheduled 10-rounder. 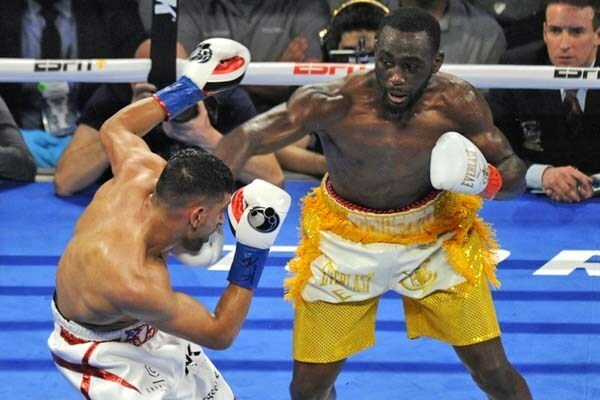 Arizona junior welterweight "Magic Man" Luis Olivares (6-0, 4 KOs) puts his undefeated record on the line against Tony "Sugar Boy" Walker (5-3-1, 3 KOs) in the six-round co-feature. 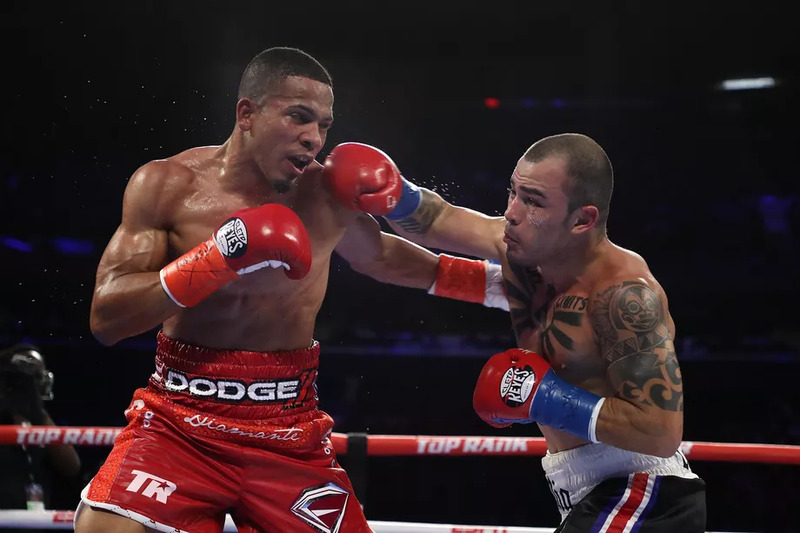 Undefeated Puerto Rican junior middleweight Emmanuel "Pirata" De Jesus (8-0, 5 KOs) will be showcased in a six-round match versus an opponent to be determined. 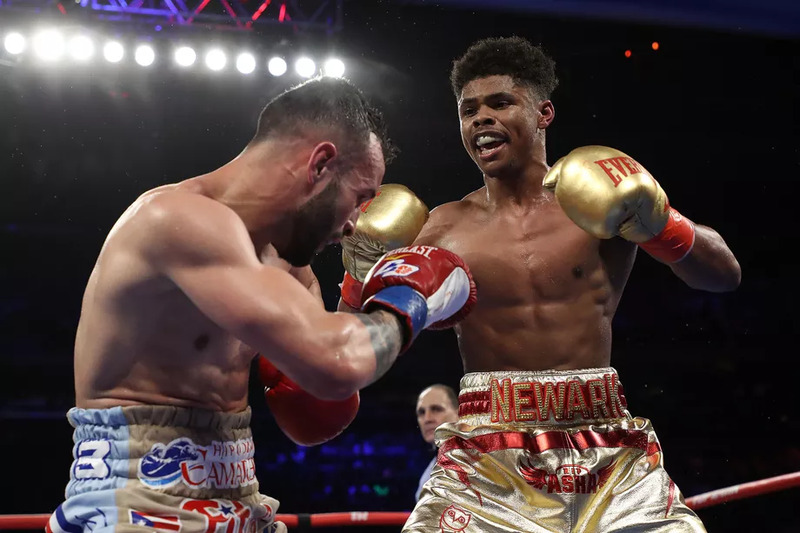 Also slated to fight on the undercard in six-round bouts are Maryland super bantamweight Thomas "KO" Snow (16-1, 10 KOs) vs. Hartford's Nate Green (4-0, 1 KO), Cincinnati welterweight Donte Strayhorn (3-1) vs. Virginia's Christian Steele (3-7-2, 1 KO) and undefeated welterweight prospect Felix Diaz (14-0, 8 KOs), a 2008 Olympic gold medalist from the Dominican Republic, vs. TBA; former U.S. amateur star, Tennessean Ryan "Blue-Chip" Martin (1-0, 1 KO) vs. Las Vegas lightweight Eric Jamar Goodall (1-2), and pro-debuting Brooklyn bantamweight Mafato Kamogawa vs. New Yorker Michelle Cook (0-0-1), in a pair of scheduled four-round fights. Tickets, priced at $350.00, $125.00, $85.00 and $35.00, are available to purchase by calling Resorts World Casino NYC at (718) 215-2828, or visiting www.etix.com/ticket/online/venueSearch.jsp?venue_id=9244. The $350.00 ticket holders will also receive a pair of autographed SMS Street by 50 Cent on ear headphones. Doors open at 6 p.m. ET, first bout scheduled for 7 p.m. ET.